In this broker’s opinion, the IX Ranch is one of the finest ranches in Montana and comes with an accomplished management team. 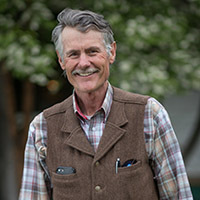 Their predecessors and successors-in-training have a 57-year history of successfully building and improving the ranch. It has balance, diversity and is located in dependable grass country. Some might think that one can enter the market at any time and buy a ranch of this stature. This writer has been selling ranches in Montana for decades and can attest that these only come along once in a generation, if then. It took three generations for the IX to come on the market. For anyone interested in buying one of Montana’s great ranches, this could be the opportunity of a lifetime. The IX Ranch is a legacy ranch – it is huge, has a long history of stable ownership and a respected reputation in reputation ranch country. Its central Montana location is 80 miles northeast of Great Falls and adjacent to the town of Big Sandy. The current owners are the second owners in the ranch’s 128-year history. This professionally managed operation runs a cattle herd of 4,300. They currently winter around 3,375 bred females, 120 3-year-and-younger bulls and ranch horses, together with 4,000 tons of winter feed. In the spring, around 650 of the previous years’ heifer calves will return to the ranch for breeding from a grow-lot near Billings. The operation covers over 126,000± acres, of which 59,809± is deeded and the majority of the balance being State grazing leases. It is well improved, with accommodations for a full crew including a manager, as well as comfortable quarters for guests. Besides its position as one of Montana’s great cattle ranches, the IX boasts large populations of elk, mule deer, whitetail deer, antelope, mountain lion, and five species of upland birds. It is also a scenic ranch boasting a diversity of habitat types from productive meadows to rolling hills which give way to steeper mountain country with scatterings of aspens and evergreens. Approaching the ranch from the west at Big Sandy, the view is of relatively level cropland between the town and the headquarters. Irrigation water for this land comes out of Big Sandy Creek which flows from the mountains that lie to the northeast and traverses the ranch for over 15 miles, running from east to west. As one moves to the east the land rises to the north and one moves into rolling country which is well watered and provides good protection for livestock. To the north lie the Bears Paw Mountains and to the south lies the slightly more open country which is distinguished by the fact that it is almost entirely State of Montana leased land in one large block actually tying the ranch together. As one moves further to the east and south one enters the Eagle Creek drainage which flows more north to south out of the mountains and, together with Dog Creek, which joins Eagle Creek on the south end of this unit, provides irrigation water for this portion of the ranch. This is arguably the most scenic part of the ranch as it actually runs up into the mountains where one finds more scattered timber and aspen groves and it becomes almost alpine in nature. The ranch manager lives here in a beautiful setting nestled into a comfortable valley with views looking out into the vast open lands to the south. This compound also includes a very comfortable home for the ranch’s absentee shareholders. Further to the east and south and separated from the main ranch by about six miles, one enters the Birch Creek valley. This unit – known by the brand of its original homesteaders as the “NL” - boasts a reservoir created to store irrigation water for the pivots below. This unit extends into the Sand Creek drainage further to the east. Perhaps not quite as scenic as upper Eagle Creek, the NL is a productive part of the ranch and would represent a significant ranch in its own right were it not a part of the IX. The ranch office is located in the small town of Big Sandy, Montana which lies 80 miles northeast of Great Falls and 35 miles southwest of Havre on U.S. Highway 87. The ranch stretches for nearly 30 miles from Big Sandy to the east and south. 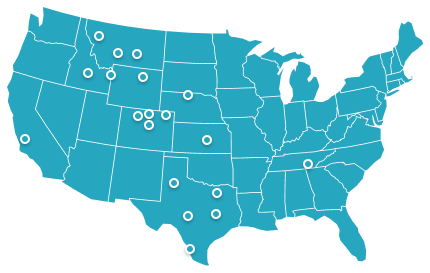 The nearest commercial air service is located in Havre, a 20-minute drive from the ranch, and has two daily flights from Billings. Great Falls is serviced by Delta, Alaska and United Airlines with multiple daily flights. Private aircraft can land on the edge of the ranch at the Big Sandy public airstrip. It boasts a paved and lighted runway of 3,570 X 60 feet at an elevation of 2,689 feet. A 20-minute drive from the ranch, Havre has a 5,205 X 100 foot paved and lighted airstrip at 2,580 feet in elevation, with approach procedures and jet and avgas fuels. Big Sandy is an attractive small town with a 2012 population of 610, which lists over 40 active businesses as well as a Critical Access Hospital and both grade and high schools. The IX lies in one of Montana’s reputation ranching areas, which is south of the Bears Paw Mountains. This is an area of good-sized ranching operations where ranches rarely change hands and smaller ranches are more often than not absorbed by larger family ranches when they do come on the market. Bottom line: this is true ranching country where the traditions of hard work and good neighbors remain intact. It is an area that has much of the scenery and amenities of the Greater Yellowstone Ecosystem located south of Interstate 90, but the values here are more closely tied to traditional farming and ranching. On average, the IX has a good long grazing season and an adequate growing season to produce two cuttings of alfalfa hay under pivot irrigation. With wind, chinooks, and light winter precipitation, livestock wintering costs are believed to be modest by Montana standards. The ranch’s coveted single-iron IX brand was first registered in Montana in 1877. Ten years later, while Montana was still a territory and the days of open range cattle ranching were clearly numbered, local businessmen C.J. McNamara and Thomas Marlow (McNamara and Marlow) began assembling the bulk of what is now the IX Ranch. They were early in the game and were able to target the strongest grass and critical water resources. They imported the best Hereford genetics from Kansas City, brought Shire draft horses in from Illinois, and also ran Suffolk sheep imported from England. The ranch stayed in their families until long after they had passed away – into the early 1950s. William and Theodora Lang of the Hamms brewing company family acquired the IX from the MacNamara and Marlow descendants in 1955 and their ranch managers, Art and Audrey Roth, became partners with them in the early 1960s. Four generations have built the IX into what it is today. As current ranch company President Steve Roth stated in a recent report to the shareholders, “we have been blessed with a family of owners who have asked very little and, by so doing, have given much more.” He also stated in that report, “The ranch has been fortunate to hire individuals who are young, smart, and full of energy.” It is not an unusual story for one of Montana’s reputation ranches. Most ranches like the IX stay in the family and the ownership transcends the generations. It is very unusual to have a ranch of this caliber offered for sale. The new owners will be only the third owners in over 128 years. With the guiding principle of putting the land, cattle and employees first, the building improvements on the IX support the cattle and employees. They are sound, appropriate and good-looking, but there are no large expensive homes. The ranch’s four operating units each have building compounds. Each is complete with one or more residences, barns, workshops and corrals. Two of the corrals include state-certified scales. Two of the compounds are served with natural gas, and all have buried fiber optic cable providing telephone and Internet. In all, there are a total of six single-family residences, four bunkhouses, a cookhouse, four sets of corrals, (two with certified scales), four horse barns, and four workshops. In 2015 a new 1,050± sq. ft. modular home with a finished basement replaced an older foreman’s house on the Seifert Unit and again in 2016 another new house replaced the foreman’s home at the NL headquarters. The Eagle Creek compound includes the ranch manager’s and owner’s homes. The owner’s home was built in 1972 and has four bedrooms, three baths, approximately 2,754 square feet of living area, two stories and a wood frame with stucco exterior wall finish. It has a wood-burning stack fireplace and is heated with a natural gas, central forced-air furnace. The landscape irrigation sprinkler system is underground. The manager’s home was originally built in 1900 and has since been extensively remodeled. Its two-story wood frame and exterior board siding harbor approximately 5,128 square feet of living area, seven bedrooms and four baths. It too is heated with a natural gas, central forced-air furnace. It includes a wood-burning stack fireplace, basement and attic. Underground sprinklers irrigate the lawns around the home as well as the adjoining swimming pool and tennis court. IX Ranch has numerous stock water and irrigation water right claims which have been filed in accordance with Montana’s adjudication and permitting requirements. The claims are situated in Water Basins 40H and 41T. There are 107 claims related to stock water rights and 54 which relate to irrigation rights. The water rights for the ranch are from Big Sandy Creek, Eagle Creek, Dog Creek, Birch Creek and tributaries to these sources. The priorities of the IX Ranch’s rights date back as early as 1887 and 1888 as adjudicated by the Montana Water Court as part of the statewide adjudication of water right claims. The irrigation systems associated with the ranch’s irrigation rights include direct diversion and storage reservoirs which serve approximately 4,382 acres under irrigation, of which approximately 1,083 are under pivot systems and 40 acres under wheel-line sprinkler. The estimated storage capacity of the two irrigation reservoirs, Birch Creek and Seifert, are 292 acre-feet and 1,005 acre-feet, respectively. A complete tabulation of the ranch’s water rights is available from the offices of Hall and Hall, or the Montana Department of Natural Resources and Conservation’s centralized water rights database. The ranch believes it owns the majority of the mineral estate underlying the ranch lands, although no mineral report has been obtained by the ranch to definitively describe the mineral estate. All minerals owned by the ranch will transfer to the new owner. There are five producing natural gas wells on the ranch, the leases for which produce royalties of some $3,200 annually. Their location is concentrated in the Dog Creek area, within the Eagle Creek management unit, in the north central part of the ranch. Located in the coveted Bear Paw Mountains, the IX Ranch represents one of the most diversified western hunting experiences available on the market today. The ranch has all the things needed for trophy game populations including quality management, diversified habitat and excellent genetics. The IX Ranch is in a trophy management unit and qualifies for Landowner preference. The unit is known to be one of the best trophy elk hunting units in the country, with bulls being taken over 400 BC. In addition to trophy elk, the IX Ranch offers tremendous deer hunting, with whitetails scoring over 165 BC and Mule Deer over 180 inches. The Ranch has good populations of antelope, mountain lions, and bears, along with some of the best prairie dog hunting in the country. 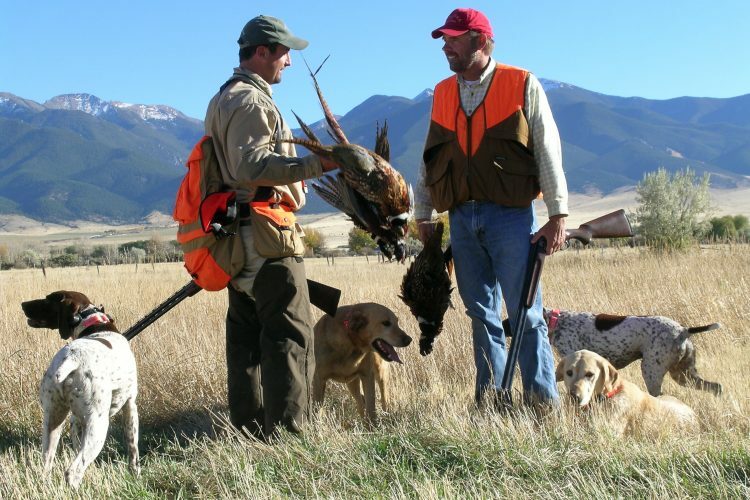 The upland bird hunting is exceptional with high populations of Hungarian partridge, sharp-tail grouse, and pheasant. The big game populations on the ranch stand at approximately 425 elk, 295 mule deer, 300 whitetails, 355 antelope and 39 mountain lions. Last year the big game harvest included 16 elk, 15 mule deer, 13 whitetail deer, 6 antelope and 4 mountain lions. Just south of the ranch, on BLM land, the world record archery Rocky Mountain ram was harvested in 2012. There is tremendous opportunity to take the IX Ranch to the next level, making it one of the finest hunting experiences in the country. Diversity of revenue sources and a dependable feed base are keys to a successful ranch operation, and the IX offers both. The 4,200± acres of dryland cropland provide income from the sale of an average range of 85,000 bushels of winter wheat annually along with the many benefits of aftermath grazing and straw production. Hay production generally exceeds the ranch’s current needs. The ranch typically plans to go into the winter with at least 5,000 tons of hay to cover both average feed requirements as well as a goal of 1,200 tons excess for reserves. The 10-year average annual hay carryover is 1,444 tons. With the pivot sprinklers generally producing over four tons to the acre on good alfalfa stands, other fields produce more or less depending on the year and upon the chosen method of harvest. The ranch has produced over 8,000 tons of hay in a particularly good moisture year, and averages over 6,000 tons. This has allowed in recent years for hay sales of 600 to 1,200 tons. Hay is produced at locations from one end of the ranch to the other allowing livestock to stay well dispersed on the ranch. Some cattle operations ranch with money. The IX ranches for money. Through 2016, the adjusted 5-year average net income, calculated on the basis of EBITDA, was $1.8M. As stated by the ranch’s president, accomplishing this significant feat came from keeping priorities straight: care first for the land, next the cattle and third the employees. Ranch management believes that the IX Ranch is well regarded as one of the most sophisticated commercial cattle operations in the state. The ranch attempts to employ the most up-to-date and well-thought-out operating scenarios in all aspects of the livestock operation. The grazing resource is intensively managed utilizing a rest/rotation system that is adapted to the local conditions. Pastures and portions of the ranch are rested in rotation and other areas are more intensively grazed. Cattle are moved each year in a manner that allows pastures to be grazed at different times each year. At 100% of estimated capacity the grazing resource should produce around 38,640 AUMs of grazing each year. Based upon a 9-month grazing season, this would allow 4,293 cows or their equivalent to graze for that period and, based upon a 20-pound-per-day hay ration, 4,000 tons of hay would more than comfortably carry this number of cows or their equivalent for 90 days. Practically speaking, the ranch utilizes these animal units of capacity in the following manner: the IX now goes into the winter with just under 3,400 bred females of which around 2,800 are mature cows and 600 are bred heifers. Two-thousand head of the ranch’s weanling heifer and steer calves are conditioned in a grow lot near Billings during the winter. Then they are sorted with around 650 replacement heifers returning to the ranch in March, and the balance are sold, generally in February, depending on range conditions and market values. This allows the ranch to market animals at different points throughout the year and potentially take advantage of favorable market conditions. Having a good winter feed base is critical to allow this beneficial activity. Ranch management believes that it has consistently maximized its genetic potential both by using top-quality bulls and by occasionally buying high-quality replacements when they become available. It should be noted that the grain operation is contracted out to farmers in the area who have the equipment and knowledge to maximize production. State Leases –The IX Ranch holds 22 separate State of Montana leases totaling 38,665± acres, rated at 11,090 animal unit months (AUMS) of grazing. These are school trust lands set aside to provide income for the public schools in the state. Except for a few scattered sections, these lands have been consolidated into five separate large tracts. The IX has worked cooperatively with the state to manage these tracts in a productive way to maximize carrying capacity while maintaining the grazing resource in good condition. 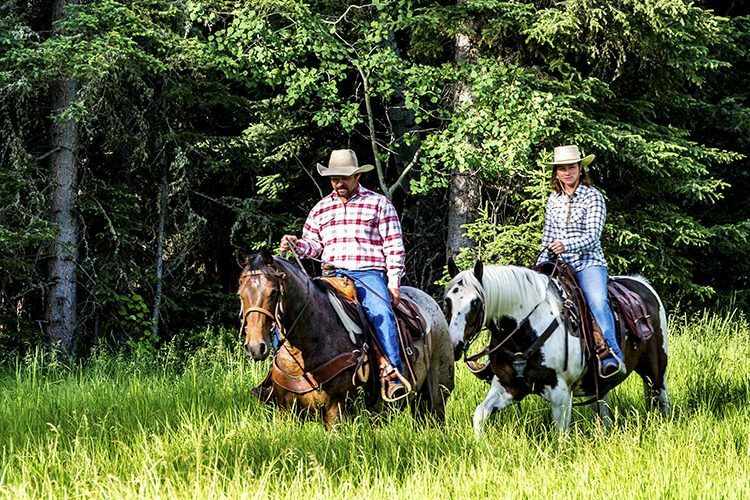 Management of the recreational resource is simplified as the public is allowed to access these areas, without crossing private lands, by either foot or horseback, and the balance of the ranch is managed privately. Annual cost is based upon the rated AUMs and is derived from a complex formula that takes into account input from the tenant in the area of fire suppression, weed control, water development, fencing, etc. as well as the previous year’s cattle prices. In 2018 the cost is $130,371.22. BLM Permits – Like the majority of the state leases, the BLM lease, which calls for 912 AUMs, is primarily in one block on the NL Unit. The BLM lease cost for 2017 was $1,121. The Faber Lease, consisting of 7,520± acres, commenced in 1986 and is currently a 3-year lease. The annual cost is $100,800 based on current usage. Annual usage averages 3,869 AUMs. The Bear Paw Springs Lease consists of 5,000± acres and is a 3-year lease, as it has been for the past 10 years. Annual cost is $50,000. Annual usage averages 2,114 AUMs. The Ophus Lease consists of 3,720± acres and is a 5-year lease which commenced in 2012. Annual costs are $7,500. Annual usage averages 1,275 AUMs. The Williams Lease consists of 1,066± acres and is a 6-year lease which commenced in 2012. Annual costs are $13,527. Annual usage averages 650 AUMs. The Quinn Lease consists of 320± acres and is a year-to-year lease which commenced in 1998. Annual costs are $3,900. Annual usage averages 112 AUMs. The Edwards, Green and Kerr–McGee leases total 209± acres and are year-to-year. Annual usage for the three averages 71 AUMs. 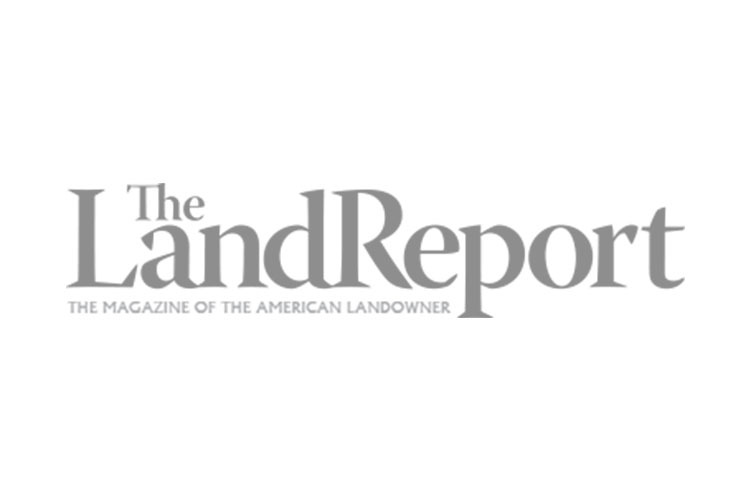 On the revenue side of leasing, the ranch has a verbal grazing lease agreement as lessor on the ranch’s Mountain Field pasture. This lease agreement is with neighbor Jeremy Curry and is based on 1,100 AUM’s, with annual revenue to the IX Ranch of $33,000.